Currently there is an interesting conference put on by Wildaid happening in San Francisco, CA. It is covering the creation, management and best practices surrounding Marine Protected Areas (MPAs). The event will bring together a slew of experts and knowledgeable speakers and panelists to try and talk their way to solutions for the Ocean. 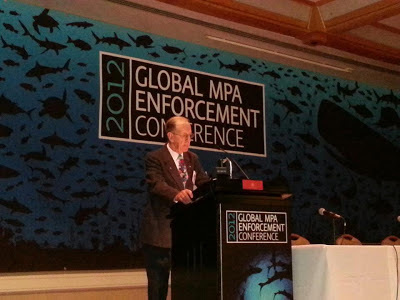 For those unfamiliar with MPAs, they are like any nationally or state protected lands, save that they are in the ocean. The protected areas are designed to limit activities in those areas to protect the ecology, biological diversity and resources contained by those MPAs. These areas have garnered much attention from the scientific community as a result of the work of Dr. Sylvia Earle, Mission Blue, and her prize winning TED talk. Her plan, as stated on her TED speakers page, is to "bring knowledge of our oceans to a wide audience and galvanize support in favor of marine protected areas." 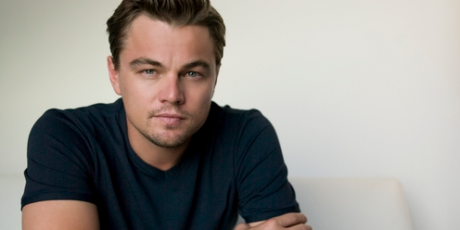 Recently, film star Leonardo DiCaprio and his foundation worked tirelessly on trying to help create an arctic protection area including the creation and distribution of a well-signed internet petition. Mera McGrew, of Mission Blue, expounded on the importance of protecting the arctic and its ecosystem in an amazing post that was picked up by the Huffington Post. These Marine protected areas have been shown to be effective when managed properly. Protected ocean areas not only harbor more fish, they "harbor older and bigger fish that can produce up to 200 times as many offspring as younger ones." These areas also create a "spillover effect" that increases the population of native species in areas around protected areas as well. The end goal is to create a network of protected areas that will mitigate our devistating effect on the ocean, its ecosystems and life. The problem arises in MPAs that the Ocean is both fluid and open and the rights and responsibilities associated with marine territories changes not only depending on where you are on a coastline, but also how far out into international waters you go. While certain municipalities and state agencies can create protective measures, such as California earlier this year, entire countries such as China can create policies that are so loose and ineffective as to remove the concept of the area really being protected. Another problem is the area being protected. For those who may be unaware, the Ocean makes up about 72% of the Earth's surface. According to the IUCN's World Database on Protected Areas and the associated 2010 document, "Global ocean protection : present status and future possibilities," there were approximately 6,800 MPAs around the world, about 1.17% of the global ocean area. This percentage, and how little it actually covers, becomes clear with the interactive map that NOAA (the National Oceanic and Atmospheric Administration) has put out. Currently, many MPAs are poorly managed and their scarce resources are being employed ineffectively. When MPA authorities are able to carry out patrols and apprehend a poacher, the perpetrator is rarely fined due to outdated laws, corruption, or nonexistent judicial follow-up. In addition, when vessels, personnel, and equipment are available, few are operative due to lack of routine maintenance. The hope here is that the congregation of Ocean experts can share their expertise on how to create change for more highly protected Oceans through advocacy and teaching better management techniques. What Wildaid should be doing here is reaching out to the caring public with more information and updates to this process. They need to get the people at home asking "what can we do?" and have some ready made answers available. One of the quickest and easiest ways that you at home can help is to contact not only your congressperson, but also the House Oceans Caucus and the Senate Oceans Caucus. We need to phone the offices of the members of these caucus' and let them know how important it is to create teeth for MPAs so that we may be a shining beacon of protection for the Oceans. The more people that express support for such effort the more fire we will light under the collective tuchus of Congresses' Ocean leadership. I wish Wildaid and their conference attendees the best of luck in their efforts but let's do our part at home and, above all else, pay attention to what is happening.